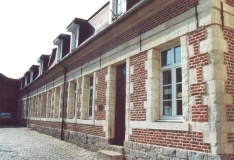 The museum is divided into four rooms tracing the military history of Cambrai. The first room is entirely devoted to the 1st Infantry Regiment. 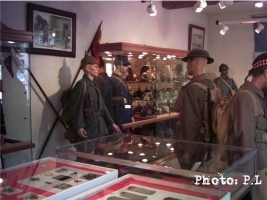 A multitude of photographs and mannequins decorate this room with personal objects that belonged to an emblematic figure: General Aubert Frère, Commander of the Regiment between 1919 and 1923. He died in the deportation camp reprisals in Struthof, Alsace on June 14th 1944. 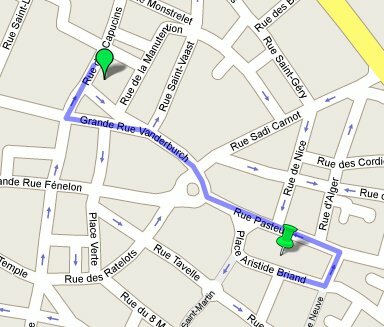 The visitor passes through the different times of the first and second world wars including North Africa. One can discover a superb collection of helmets and various pieces of military equipment of WW1. A fine collection of weapons, bayonets, ammunition of various calibres, musical instruments and various objects are displayed in the second and third rooms. The final room has several items of exceptional equipment. The museum also has some items symbolic of the Selection Centre No.2, reflecting the last military presence in the city. Open 1st and 3rd Sunday of each month from 15:00 to 18:00.